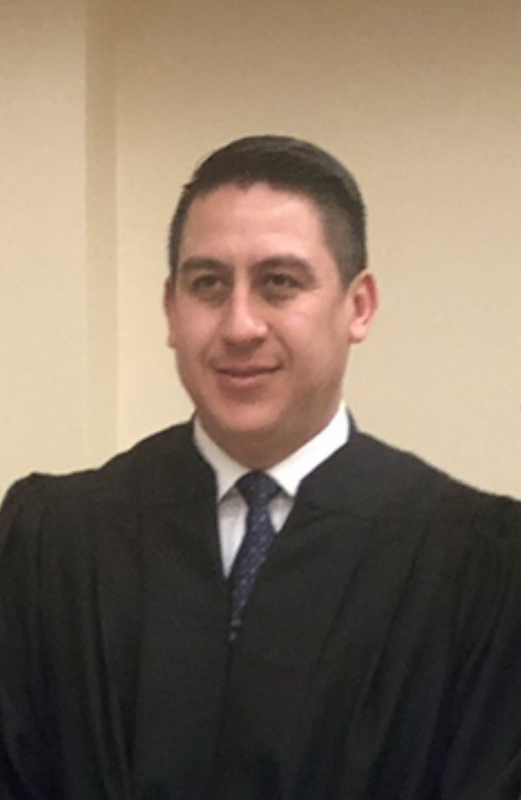 The city of San Juan finalized new municipal Judge Jorge Zambrano’s pay Friday, three weeks after the city commission’s majority hired him to the new position. Zambrano will receive $20,000 annually, according to City Manager Ben Arjona, who negotiated his pay. San Juan’s two other municipal judges Eloy Hernandez and Ricardo Perez, who have been employed since 2008, are paid $25,000 and $38,400 annually, respectively, according to their agreements with the city, but it’s not their pay that’s caused a concern for Mayor Mario Garza. “There was no justification why we needed another judge,” Garza said, noting his opposition of the additional position is “nothing personal,” but rather a concern for how taxpayer money is spent. “In my book, I don’t think that was correct,” he said. The city commission discussed the municipal judge position behind closed doors during a Jan. 8 meeting. Commissioners Pete Garcia, Jesus “Jesse” Ramirez and Ernesto “Neto” Guajardo favored hiring Zambrano, a Pharr-San Juan-Alamo board member and the sole applicant for the position. San Juan calls on judges from neighboring cities to temporarily serve when its two longtime municipal judges are not available, according to Ramirez, Guajardo and the city manager. “Why not somebody that’s employed by the city of San Juan” instead of judges from neighboring cities, the city manager said, noting Zambrano’s hiring will improve residents’ accessibility to municipal judges. Municipal judges arraign persons charged with felonies and misdemeanors, oversee municipal trials and issue arrest and search warrants. The city, however, did not pay an outside judge to work in San Juan from June to January 17, a public information request revealed. While the city’s two longtime judges are also licensed attorneys, Zambrano’s experience in the field includes work as a case analyst work for the Zambrano Law Firm, owned by his brother, as well as “municipal court experience” for the city of Pharr, according to his resume. He also listed a legal aid position in his employment history. The city does not require its municipal judges hold a law degree. Zambrano did not reply to emails requesting comment. In addition to serving as San Juan’s newest municipal judge, Zambrano is a licensed real estate agent and holds a Bachelor of Business Administration degree from the University of Texas Rio Grande Valley. He began serving as municipal judge on Friday.